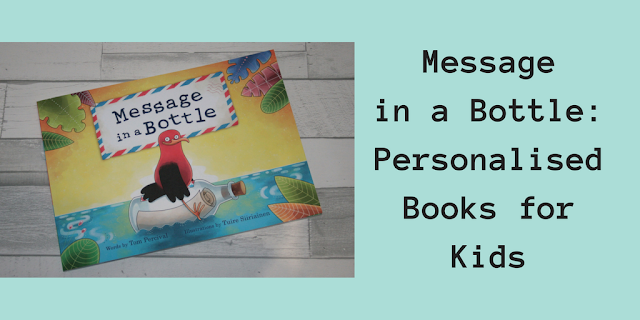 We are always on the look out for books that have that "extra something" and recently we came across Message in a Bottle personalised books. Personalised books make such special gifts for children of all ages. Our Message in a Bottle book has been personalised for Mini Reviewer, Izzie. Not only has the story been personalised to include Izzie's name and address there is also a special message to her at the end. The story itself has been written by Tom Percival and illustrated by Tuire Siiriainen and is available in English, German, French, Finnish, Polish and Luxembourgish. The story begins as Kiki, "a little bird, with a BIG sense of adventure" finds a bottle with a mysterious message inside and decides to deliver it. We join Kiki as she travels the world to deliver the special message. On her journey past mountains, icebergs, deserts and even jungles Kiki meets lots of new friends but not all of them turn out to be helpful! We all really enjoyed this adventurous tale with its array of colourful characters and playful illustrations. Most importantly at the end of the story, Izzie was delighted when Kiki delivered the special message to her. Our message was to tell Izzie just how proud we are of her as she was a little unsettled when she returned to school. The first time she read the message her whole face lit up! I have a feeling this book is one that will be treasured for a long time to come. Your very special message can be anything you want it to be and you can even include a photograph. This would be a perfect sibling gift to mark the arrival of a new baby; celebrate any special event; or simply tell your child just how great they are! 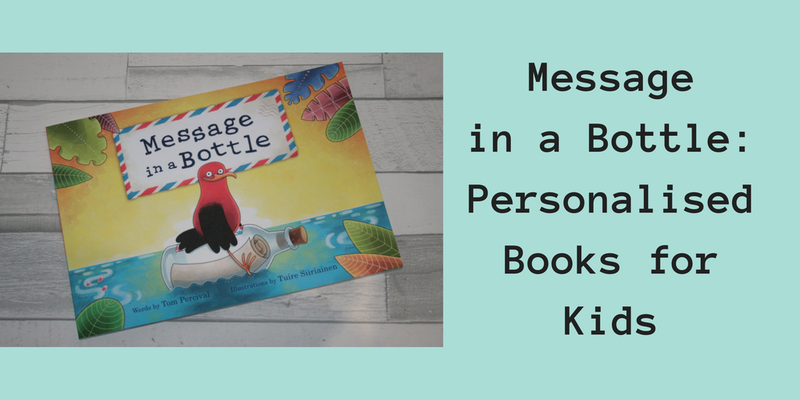 What we really love about this book is that the Message in a Bottle team have a blog with lots of activity ideas that are linked to the story. We received the book a little while a go now so we have had plenty of time to have lots of fun with the story together. 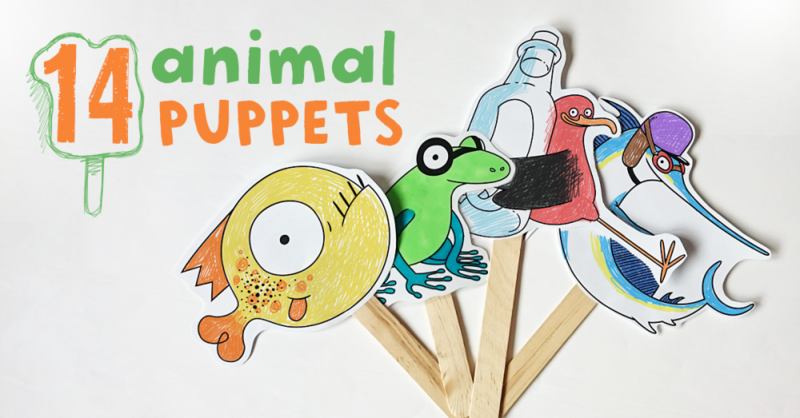 We have learned to how to draw Kiki and made some fab printable puppets. The Message in a Bottle blog is certainly worth a visit with or without the book! Message in a Bottle retails at £19.95 for the soft cover version we received and £29.95 for a hard cover copy. There is free postage within the EU. Along Came Poppy readers can now save 15% by using code: 4BIWB8 at the checkout. * To find out more visit the Message in a Bottle website here. *Disclaimer: We received this book free of charge for the purpose of this review and we are now Message in a Bottle affiliates you can read more about what this means here. This review is, as always, our own honest opinion! I really like the illustrations that you have shown in the post, this book looks gorgeous.